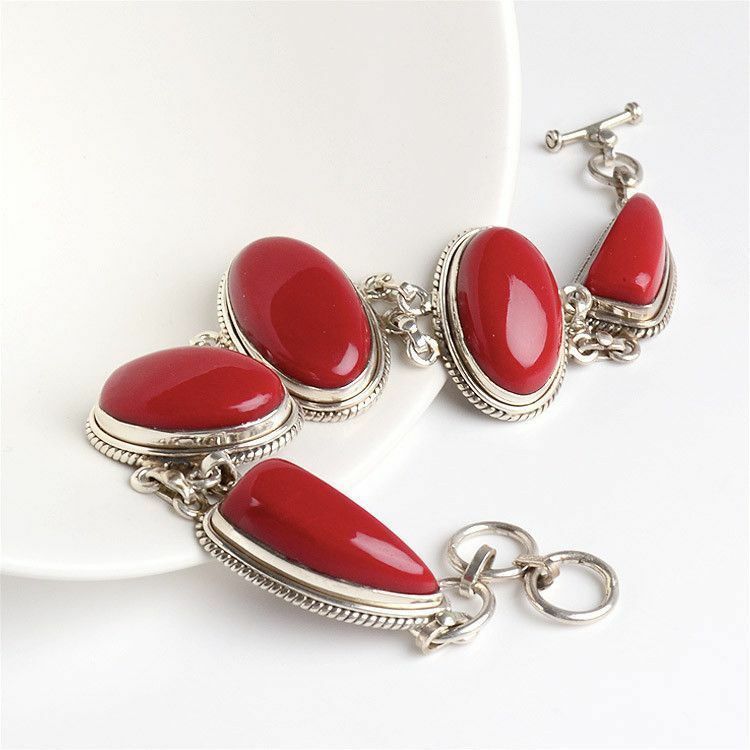 Make your fashion pop out with bright red jewelry! 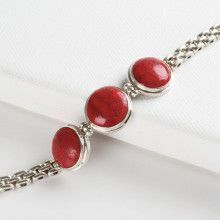 This fun toggle style bracelet features red coral stones that has been highly polished and set in sterling .925 silver. 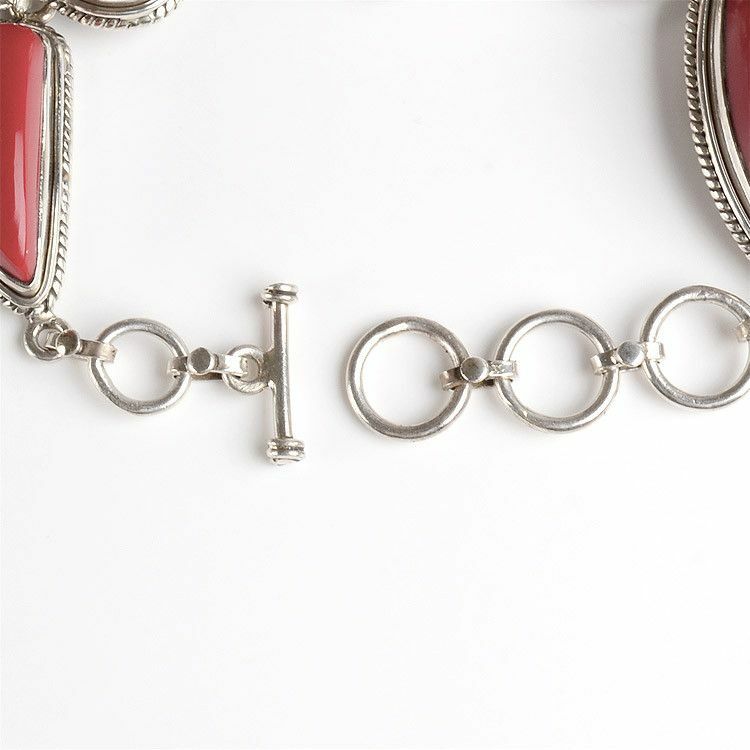 The different shapes and braided silver around each stone adds a little extra elegance that makes this bracelet perfect for all sorts of occasions! 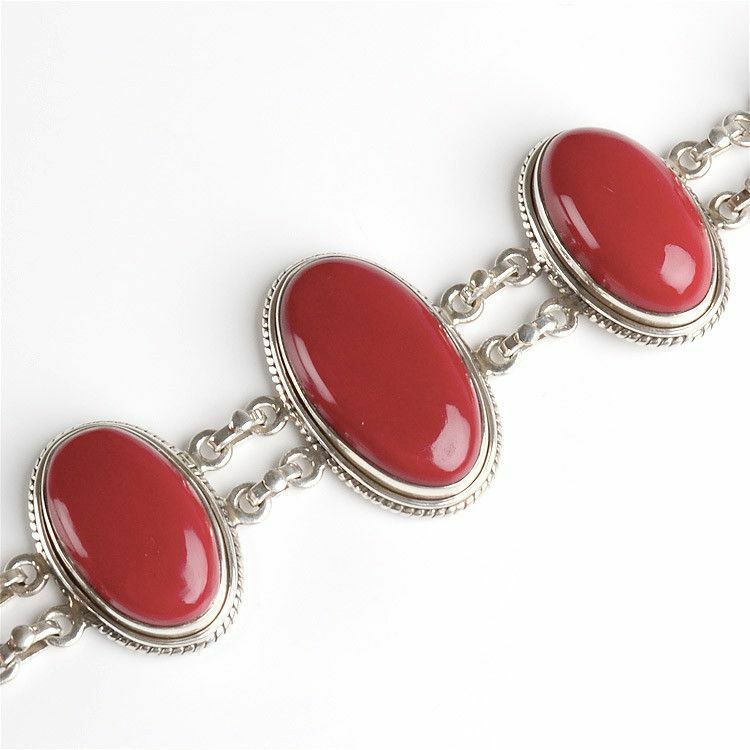 This stunning bracelet is adjustable from 8" to 9" and the largest center stone measures 1/2" by 1 1/4." 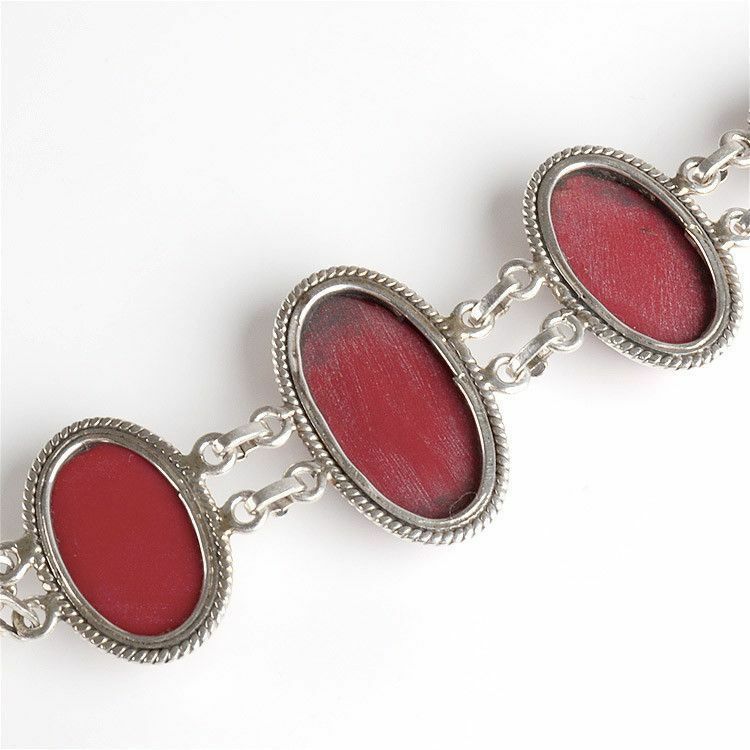 Bracelet measures 8" to 9"
Largest stone is 1/2" x 1 1/4"